Deserter's Songs is a sonically engineered hybrid of all that’s been brilliant in pop music since the 1960s, but adds the band's own originality. 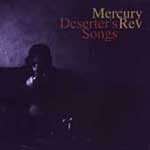 Mercury Rev have the courage to overcome potential banality through the use of instruments like flugel horns and even a bowed saw. The traditional Rev sleaze factor and infighting has disappeared, in favour of inspirational tunes with Jonathan Donahue's voice endowing them with an ethereal quality. The lyrical rhyming may be forced in places and some of the songs don't live up to the rest of the album, but the overall effect is barely diluted. Commercial success may elude Deserter's Songs but critical admiration has deservedly been theirs and will continue to be so. that never quite work right"
....they could never have guessed how wrong they were.